Applications: Seeds Packaging, Pesticide Packaging, Dairy Products, Vacuum Pouches, Condom Packaging Etc. 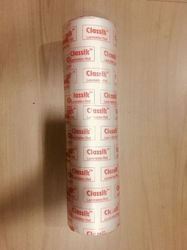 We offer superior quality photo lamination film, widely used in photo and document lamination, labels etc. Everest offers a wide range of attractive holographic designs as Holographic Thermal Film. These range of films are applied by combination of heat and pressure for lamination on paperboard and film – the adhesive (EVA) used in this process is pre – coated on the base film through extrusion coating. We are the manufacturer of a wide range of co extruded polyethylene films for milk, edible oil, ghee, mineral water, country packing. e the manufacturer of a wide range of co extruded polyethylene films for milk, edible oil, ghee, mineral ..
- We maintain High seal strength, Good barrier properties in laminates used for wet tissue packaging. With more than half a decade of experience in this domain, we have been able to manufacture and offer a premium quality range of Multilayer Lamination Film. 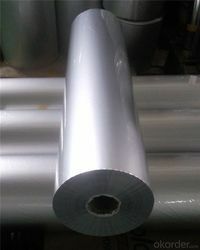 Made of virgin quality raw material, these lamination films are widely used for packaging of different products.